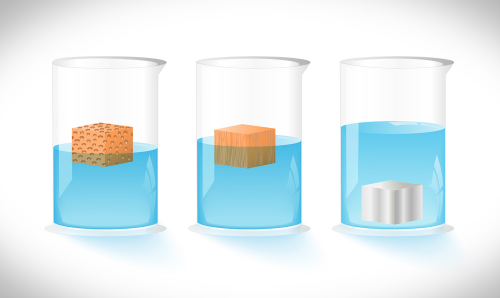 Mass and density are two of several properties that help describe matter. Both terms are closely related, especially in terms of mathematical formulas. However, these terms are not the same, and thus, are not interchangeable. This article seeks to find out why these terms are not the same. Mass is the measure of the amount of matter in an object. It is also defined as a measure of any object’s resistance to movement or acceleration. For example, a mountain has greater mass than rock or a boulder. The earth, with its large mass, will always attract an object of small mass such as a human with such force to prevent the object from floating away into space. This force is called mass attraction, otherwise known as gravity, and is a force that is present between all matter. However, it is important to note that, unlike weight, mass is not affected by gravity. Thus, an object’s mass remains the same regardless if it is on Earth or in outer space. The International System of Units uses the kilogram to measure an object’s mass, and is represented by the symbol “kg” (i.e. kilogram). This basic unit has multiples and fractions such as gram (a thousandth of a kilogram) or tonne, (one thousand kilograms), to name a few. Density is the measure of the amount of matter in an object in relation to its volume. An object with high density has a lot of matter in a particular amount of volume. A low-density object has a small amount of matter in the proportionate amount of volume. The state of matter greatly affects its density. Gaseous matter is characterized by loosely-packed atoms compared to water and solids. This is why air is less dense compared to solids and liquids. The density of water is 1 gm/cm3. A real world application of this is used seafaring. A ship, no matter how heavy its load is, will remain afloat as it has less density compared to the general density of the water. A ship’s massive volume tends to dwarf its mass which results in a lower density. Substances with greater density than water such as a hard rock the size of a fist will simply sink. The density of an object is affected by temperature. As the temperature of a substance increases, its density decreases because its atoms move around faster as its matter is also decreased in a particular space. Inversely, the density of a substance increases in lower temperatures because it slows down the movement of atoms making them stay in one place. Most substances follow this rule, but there are a few exceptions. When water freezes, the ice produced has lesser density compared to its original state. So what’s the difference between mass and density? Mass is the measure of the amount of matter that is present in certain objects. It is usually measured in kilograms, or kg. Density, on the other hand, is the measure of mass, or the amount of matter in a certain matter or substance in terms of its volume. It is expressed in SI units such as g/cm3 (grams per cubic centimeter) or kg/m3 (kilogram per cubic meter). The mass of an object is determined by multiplying its density by its volume (m=DxV) while density is an object’s mass divided by its volume (D=m/V). 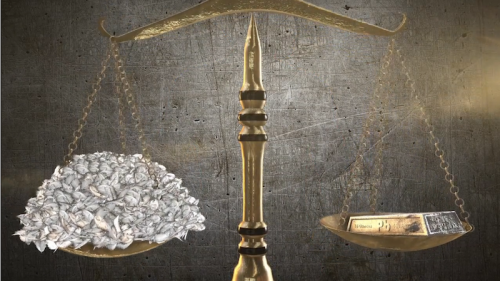 Check out this YouTube clip for more about mass and density.